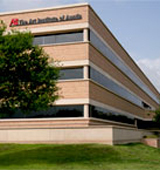 The Art Institute of Austin is college with 1413 students located in Austin, TX. What are the top 3 reasons someone should attend The Art Institute of Austin? What is a typical The Art Institute of Austin student like? Describe the type of person that should attend The Art Institute of Austin. ANYONE! can you just got to have the want, will and drive to accomplish all of your goals, and not only you should have them the staff and students reach out to help you along the way. We are located in Austin, Texas, the state capital and fourth-largest city in the state. Our students are able to do imaginative thinking and studying in a city known for its creativity and originality. Austin is a vibrant spot that celebrates being cosmopolitan and unpretentious; high-tech and low-key; big city and college town. Austin was selected as the #2 Best Big City in "Best Places to Live" by Money magazine in 2006 and the #1 College Town by the Travel Channel. This is an independent, unassuming spot proven by the unofficial slogan locals use "Keep Austin Weird," referring to the spirit of the city and the vibrant network of locally-owned businesses. If the free spirited nature of the city isn't enough for students, the weather certainly is. Austin boasts 300 days of sunshine each year and offers plenty of outdoor activities to take advantage of those days. The Art Institute of Austin in Austin, Texas was established in 2008 as a branch of The Art Institute of Houston, TX. Austin is the fourth-largest city in Texas. Austin boasts 300 days of sunshine. In 2006, Austin was voted the #1 College Town by the Travel Channel The Art Institute of Austin occupies 60,285 square feet of classroom, computer lab, library, and administrative office space. What are the top 3 things that students do for fun at The Art Institute of Austin? They would throw organized parties. such as... 1. Study Parties 2. Student Awareness parties 3. and staff just reaching out to help all of the students out with dailly struggles to the best of their knowledge. The average student pays $26,849 for tuition, fees, and other expenses, after grants and scholarships. Learn more about financial aid at http://www.artinstitutes.edu/austin/financial-aid/. Want more info about The Art Institute of Austin? Get free advice from education experts and Noodle community members.